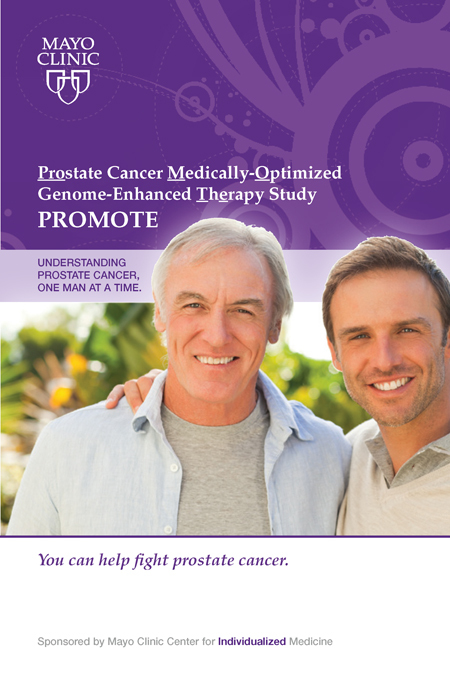 The Prostate Cancer Medically Optimized Genome-Enhanced Therapy (PROMOTE) study uses genetic clues in castration-resistant prostate cancer (CPRC) that may identify an individualized treatment approach for men with the disease. Those with advanced prostate cancer can have tumors resistant to standard hormone treatments that lower testosterone. Our goal is to improve treatments by using genetic sequencing to uncover the most vulnerable targets of CPRC. The last few years have produced significant advances in the care of CRPC — an advanced prostate cancer stage that no longer responds to medical or surgical hormonal treatments that lower testosterone. State-of-the-art tools are used to assess how the tumor responds to therapy given to control the progression of cancer after hormonal treatments are failing. For this, a biopsy of one of the sites in the body where the tumor has spread and is growing is used. This information will then be analyzed, along with similar information from other participating men, to identify common genetic changes within these prostate cancer metastatic sites that allow the cancer to progress.